MSI is the ISO_AS_Expert in planning and conducting Quality and Environmental ISO Internal Audits. MSI has mastered the elements of ISO 9001, ISO 14001 and AS 9100 Standards. 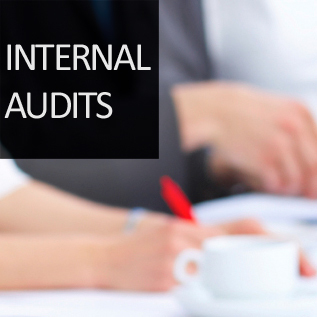 MSI has presented internal audit findings for many types of companies, and continues to develop our Internal Audit Program leveraging over 18 years of expertise. Initiating Corrective and Preventive Actions (Phase 4). Our ISO Internal Audit program will verify processes are being carried to not only meet the ISO applicable requirements but also customer requirements and corporate company requirements by collecting objective evidence to verify that the system is implemented, maintained and continues to be effective. Having MSI perform Quality and Environmental ISO Internal Audits is an opportunity for financial savings. Outsourcing the performance of quality and environmental ISO internal audits bolsters security and adds to valuable company resources. Outsourcing to MSI not only saves you time and money, but your results reflect over 18 years MSI’s expertise, giving you the edge that your company deserves. To learn more about the ISO Quality or Environmental Standards and our QMS and EMS internal auditing processes contact MSI.